Saturday, its a little cooler today but not like back home for sure and to remind me of the cold and wet of jolly old England, here is some cool stuff I know that you will enjoy if you are interested in rhythm and blues. 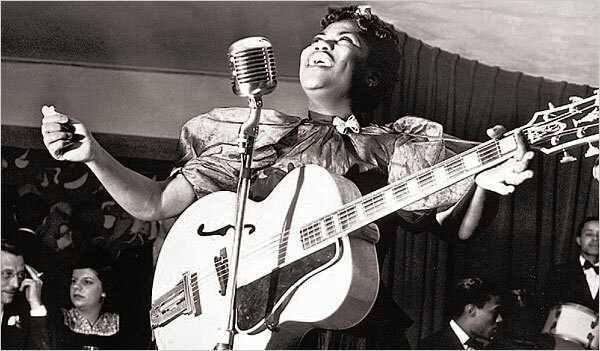 Sister Rosetta Tharpe is a name I am sure you would of not heard of, she was to me, one of the best Blues- Gospel artists who never got the recognition of her skills. 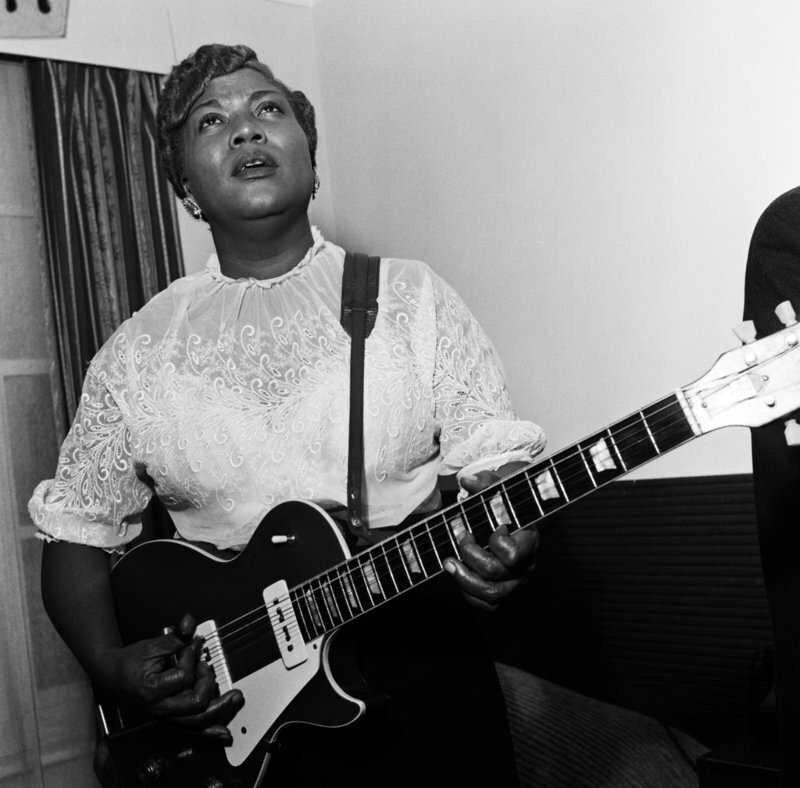 Elvis Presley adorned her Music, Chuck Berry listened and learned from her chords, this Black woman from the USA started this style of picking that nobody had ever heard before. Below we start of with her on a British tour and yes in the wind and the rain, she still entertained the crowd and gets right into er guitar, not many would even do that today, so sit back and enjoy the talents of Rosetta and her booming Vocal chords. I will never tire of her classic songs that are delivered with more punch than Mike Tyson, what a thunderous champion of the Blues. So I sure hope not only are you amazed to not of heard of this wonderful lady, but with any luck like me, you will stop and think that she deserves so much recognition into the Rock n Roll hall of fame. I was amazed by her power of her vocal chords, she also was a great guitar player and just had that natural ability to pull in the crowd, you cannot help but love this woman, I was blown away by her presence and musical talent. So here is a documentary if you are hooked like i was many years ago, this will tell you all about this wonderful lady of the Blues! This entry was posted in Blog and tagged 45 rpm, 78 rpm, BB king, Blind Willie Mctell, blues, Chuck berry, elvis, fender, gretch, hollow body, John lee Hokker, Johnny cash, Lightning Hopkins, namm, rhythm and blues, rock n roll, Rufus thomas, Sister rosetta Tharpe.